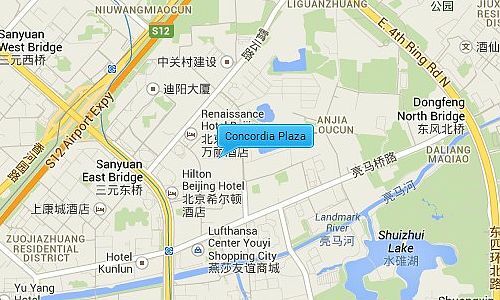 Concordia Plaza is located in the Lufthansa area which is popular amongst expats. And next to a major embassy area; it is also near to both the airport expressway and the 3rd ring road, giving it easy access to the city airport and other main destinations. Lucky Street famous for its international restaurants and Solana shopping mall are around the corner, and Lady Street, a huge indoor market where you can pick up plants, clothes, authentic Chinese furniture and much more is also near.